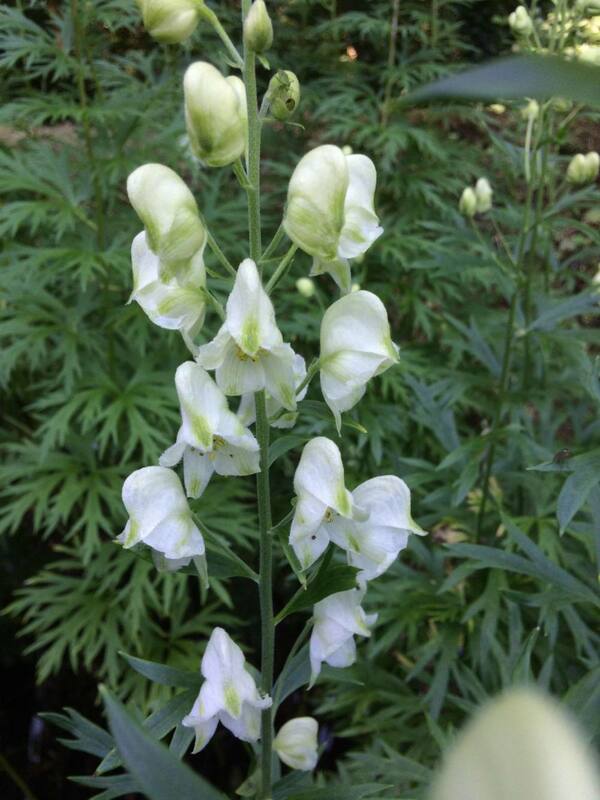 The rarer, white flowered form of our native monkshood, which is reliable and easy to grow. It is a tall, architectural plant suitable for shady borders, with the soft white flowers held in upright spikes. Does not require staking. The dark green leaves provide added interest throughout the year. A good pollinator, it is pest and disease resistant. Herbaceous. Hardiness rating H7. Pot size 1.5 litre. Clear old foliage in autumn. Plants are easily divided in early spring and can also be grown from seed, which is best sown fresh. CAUTION. All parts are poisonous if ingested. Plants ordered in mid-season have to be cut back to fit a box so please order early or late! See additional info. tab for a plant summary.